Are you looking for a place that combines stunning natural landscapes and archaeological sites of unique historical significance? Then, Sounio is the ideal option for you! 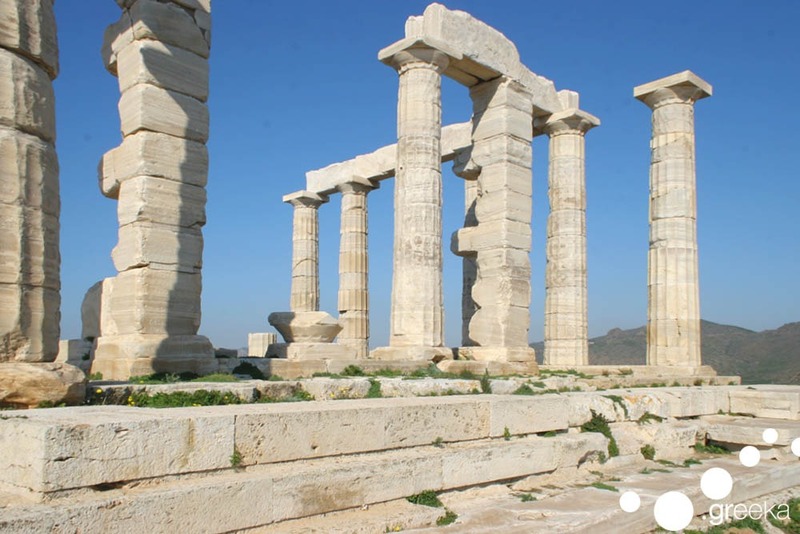 Located in the southernmost edge of Attica and at 69 km from Athens, Sounio will charm you before you even arrive; the coastal route from Athens offers charming sea views. 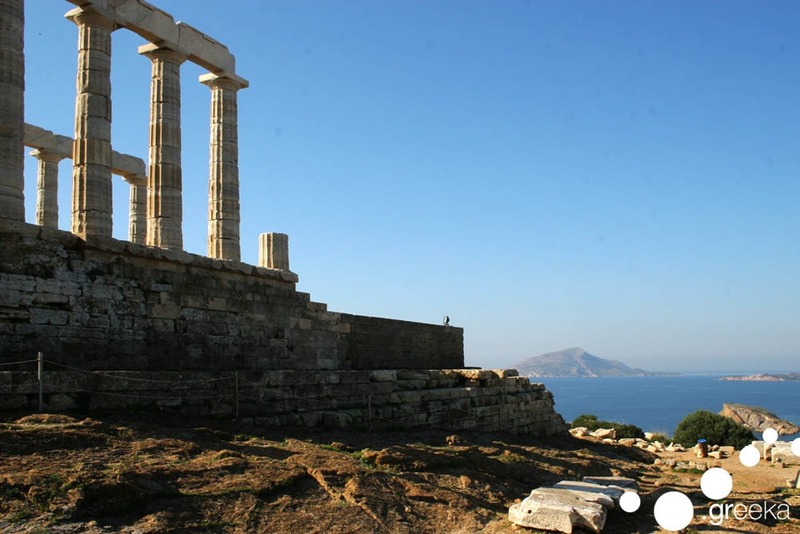 Upon arriving at Sounio you will see the impressive Temple of Poseidon standing proudly on the hill – the best time of the day to visit it is in the afternoon, when the sun is less hot and the view to the endless blue and the sunset is breathtaking. Meanwhile, choose one of the several surrounding beaches to lay your towel and enjoy the sun! Legraina is among the largest beaches around Sounio; golden sand, bushes and small dunes, transparent turquoise waters and few visitors compose the setting. If you prefer a more organized beach with sunbeds and umbrellas, then Charakas beach, as beautiful as Legraina, is for you! Near Legraina you can also find KAPE, a once secret beach that nowadays has become a trend; a crowded, sandy bay with crystal clear waters that make you feel like you have visited an cycladic island. If you need some more privacy, walk to the left side of the beach and swim across the rocks to a smaller isolated but equally beautiful shore! Before visiting the magnificent temple, recharge your batteries with a delicious meal in one of the many tavernas in the area that serve delicious dishes with fresh fish, seafood and other traditional recipes. Early in the afternoon head up to the temple of the notorious sea god; an impressive doric-style temple, dated back in the 5th B.C with pillars of 6 meters height. Make sure you have enough time at your disposal to explore it, learn about its history and capture the moment! During the sunset, the colours of the sea, sun and sky are blended and compose an romantic setting of incomparable beauty that words can’t describe. Tip: Don’t miss to visit Lavrio, a coastal town near Sounion where you can find several restaurants, bars and cafeterias and enjoy your evening by the sea. Lavrio is famous for its port, fish market and the palm tree forest near the town centre.